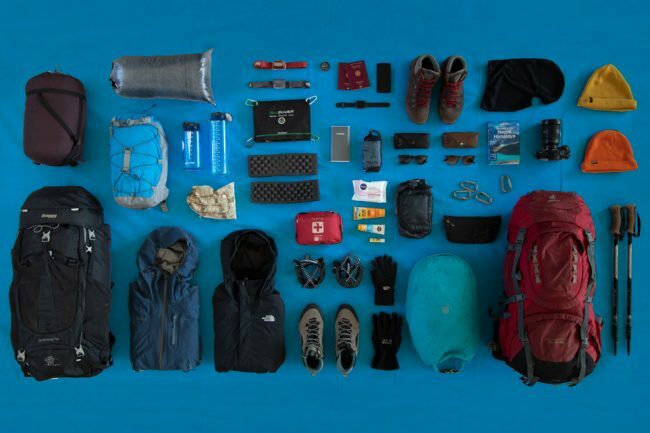 Usually, weight is one of the deciding factors when it comes to trekking gear, especially during longer hikes where every gram counts. Grüezi Bag wants to change this paradigm. Where are the benefits over saving a few hundred grams when you sleep badly? 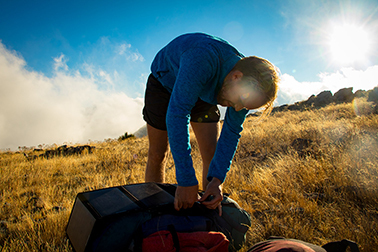 Down or synthetic: these are typically the options when choosing material for a sleeping bag. Each insulation material has its own advantages and disadvantages. Due to the fine capillary structure of the wool, moisture is transported quickly away from your body. Wool even has a climate-regulating effect: during hot summer nights it cools with evaporation; in fresh spring or autumn nights, the moisture is quickly led away from the sleeping bag so that the air in the sleeping bag remains dry and can conduct less heat. Grüezi Bag uses sheep’s wool combined with down (down-fleece). Sheep wool is the filler of the future, according to the founder of Grüezi-Bag Markus Wiesböck. Down has a very high insulation performance at low weight. That is why down is ideal as a filling material for sleeping bags and jackets.However, down only isolates while it is dry. The synthetic fibers are less affected by moisture but don’t provide a good sleeping environment. Besides, it does not isolate as good as natural down. Advantages of a wool sleeping bag are that wool also warms you when it’s wet and additionally has an antibacterial effect. This quality is exceptionally beneficial while trekking in damp and cold conditions. … precisely the conditions we had during our tests in Patagonia and around Europe. Grüezi Bag combines Down and Wool and nicely balances the advantages and disadvantages of each insulation materials. As insulation materials, Grüezi Bag uses cornstarch stabilized sheep’s wool and a second layer of synthetic down, to make the wool machine washable and to prevent it from moving around. To regulate the absorbing potential of wool a synthetic layer is integrated so that the body has enough time to adjust its heat difference. The inner material feels very nice on the skin, while the outer material makes a robust, solid look. The hood is equipped with an elastic string so you can cuddle up during colder nights. You can open the zipper from the top or bottom if you want to stretch out your feet. Or if you like to put your shoes on while still being protected on the upper part of your body. The zippers run very well and never get jammed. Another advantage of the Grüezi Bag is that is doesn’t make loud rustling sounds while moving around, like many other sleeping bags especially syntectic sleeping bags. There are a few Compartments and pockets – which included a practical pillowcase. Two pockets, one on the inside (velcro) and one on the outside (Sipper) allow you to store your mobile phone and gear which you may need during night time or things you like to keep close to you. There is a pillowcase in which can stuff your not needed clothes during night time to build up a comfortable pillow. Which we find super helpful because normal pillows tend to move around quite a bit. There is even a mini compass attached to the zipper so if you want to plan your next days cuddle in your sleeping bag you even know how to orientate your map. The Biopod Wool Zero is by design a classic mummy sleeping bag with a few well thought thru details. The cut is a bit wider than usual which ensures comfortable freedom while sleeping. The Biopod Wool Zero is machine washable (do not spin!) Hang up, let it dry, done! 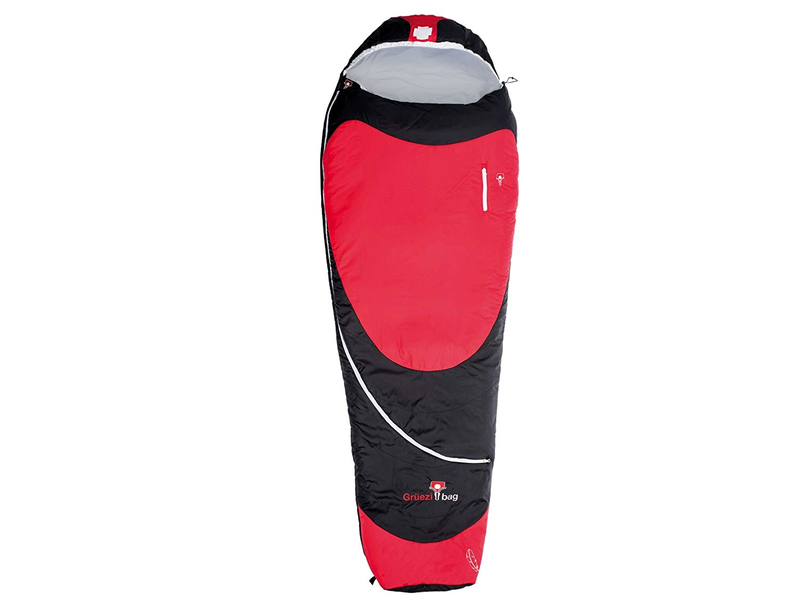 The Biopod Woll Zero comes in a classic compression bag, don’t use the lashes to compress the sleeping bag. Otherwise, they will tear out quite quickly. It is better to put one keen on the sleeping bag and adjust the lashes like this. If you want to ventilate or dry your sleeping on the next morning you will find a few loops in the foot area. The Biopod Zero focuses on sleeping comfort and the sleeping environment rather than pure weight. Anyone who dislikes sleeping in a regular sleeping bag should try this wool sleeping bag it is in a league of its own. In addition, if you are traveling in damp regions, then this is a very fast-drying alternative to expensive syntactic sleeping bags with the benefit of sleeping comfort. The Biopod Woll Zero was award twice as Editors’ Choice by the Outdoor Magazin in 2016/17 and with the German Design Award in 2017.